[pullquote person=”James Hong” attribution=”James Hong, founder of HotOrNot and Cakey”]”Back then, I helped people make babies. Now, I’m helping them raise them.”[/pullquote] Call it a coming of age of sorts: James Hong made his first waves online when he co-founded the photo rating and dating site HotOrNot.com some 14 years ago. Back then, he was single and looking for dates. These days, Hong is a father of three and wants to keep his kids away from what made HotOrNot so successful. 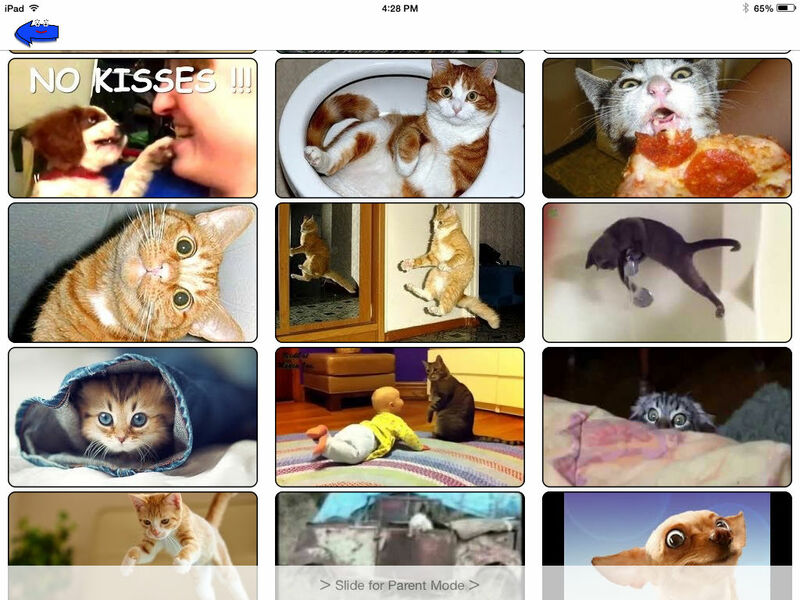 Cakey is a free iPad and iPhone app that presents YouTube videos in form of curated playlists, allowing parents to decide exactly which clips are available to their kids. Via a Pin-number-protected parent mode, parents can add their own playlists to the app, or tap into the Cakey community to load playlists prescreened by fellow parents. Cakey sends out weekly emails to parents to let them know what their kids have been watching, and there’s also a website to preview those collaboratively curated playlists and send them to the iPad app. The idea is to give parents the tools to add playlists to the app without having them manually scour through YouTube’s catalog, said Hong, adding: “I always wanted to build collections for my kids, but I never got around to doing it.” Over time, Hong wants to grow this collaborative aspect by giving parents the ability to trust other users to pre-select content for them. Cakey is a free app, and it doesn’t come with any ads, in part because Hong dislikes the idea of advertising to kids. So what’s the business model? As of now, there is none, Hong told me. He built the app himself to solve some of his own needs as a parent, and is now looking to scale it to make the community aspect more useful. “This is not a company right now, it’s a labor of love,” said Hong, suggesting that there may always be ways to monetize Cakey down the road. The bootstrapped approach also shines through when it comes to the app design, which can be described as pretty barebones. Hong defended this approach when asked about it, and said he actually took some elements out of the final version. “Simple is better for kids,” he told me. I’m a parent myself, so I know exactly what prompted Hong to start Cakey. YouTube has a ton of great kids content, but every Elmo video is often just a few clicks away from a video of teenagers setting their Elmo doll on fire. “There is a big gap between G and R,” Hong said. Cakey tries to make navigating those inbetweens easier, while at the same time opening up horizons for kids. A lot of fellow parents had told Hong that their kids just like to watch the same Dora episode over and over, but he challenged that notion, and said that it’s often because kids have never been exposed to how-to content and other hidden gems on YouTube. “My son first learned how chess pieces move on my app,” Hong said. This post was updated at 10:30am to clarify that Cakey is also available for the iPhone. How is this news other than it is the HotOrNot dude? There are literally thousands of these apps available already. Do a quick search in an app store to find them. YouTube is not kid safe either. The content isn’t safe nor is their tracking COPPA compliant. You need to do more research on this before retyping a press release. I have tried some of those other apps as well, but I liked the collaborative approach taken here, which is more than just dumping a few select videos in a separate app.